Joining Fusion Rewards gives you special rewards and offers at five of Australia’s leading fashion and footwear retailers. Fusion Rewards - giving you more choice and value when you shop. Find out how to JOIN now. 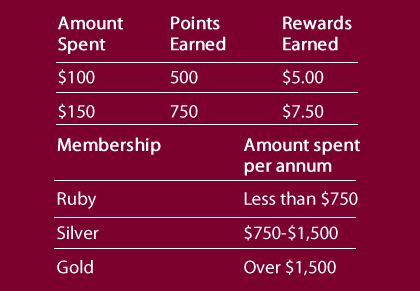 The more you shop, the greater the rewards and the sooner you will become a Silver Member!